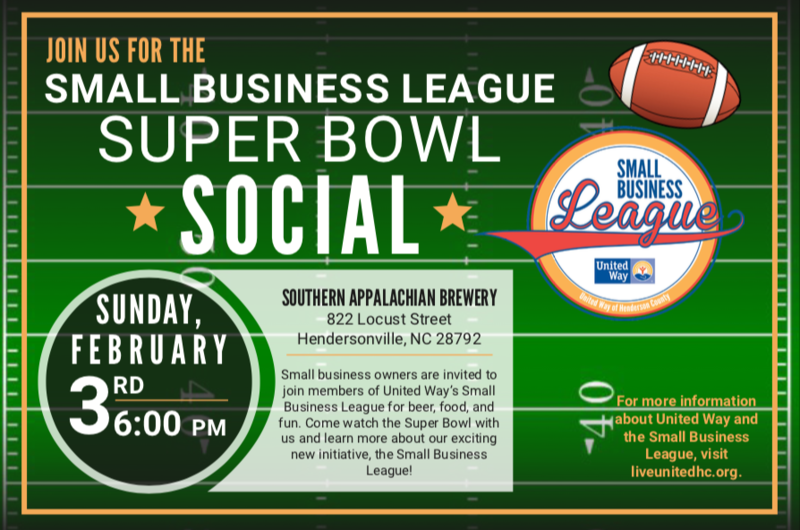 Join us for beer, football, and fun! Meet current members of United Way’s new program, The Small Business League. Learn more about this exciting group and how you can join. We’ll be releasing 3 beers during the event: Imperial Stout will be back all day. Serrano Pilsners goes on tap at kick off. Half time release will be the Chocolate Raspberry Stout. We’ll also be donating 10% of sales from the day to the Small Business League. Hope to see you there! For more info about United Way and the Small Business League visit: www.liveunitedhc.org.